The first day of spring is still more than a week away. 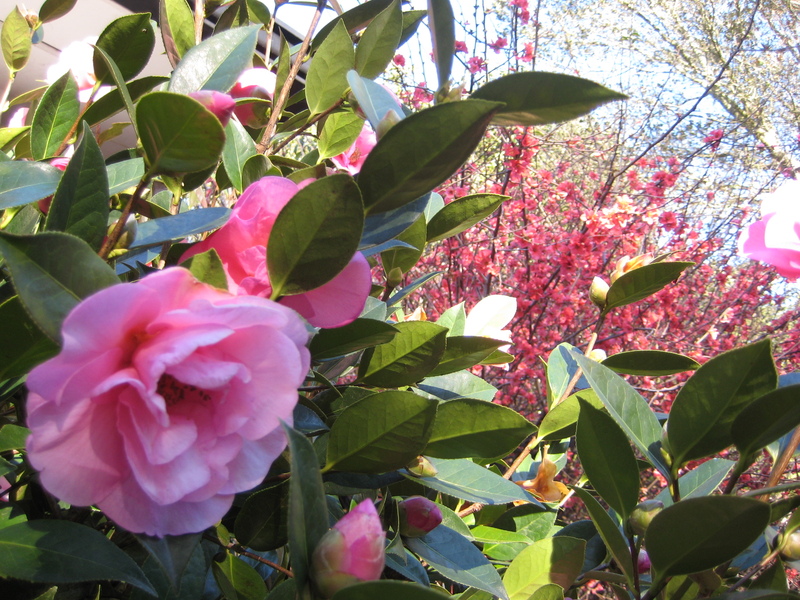 Gardeners in the east and mid-west are still shivering in winter but here in the west we are enjoying full-on pre-spring. 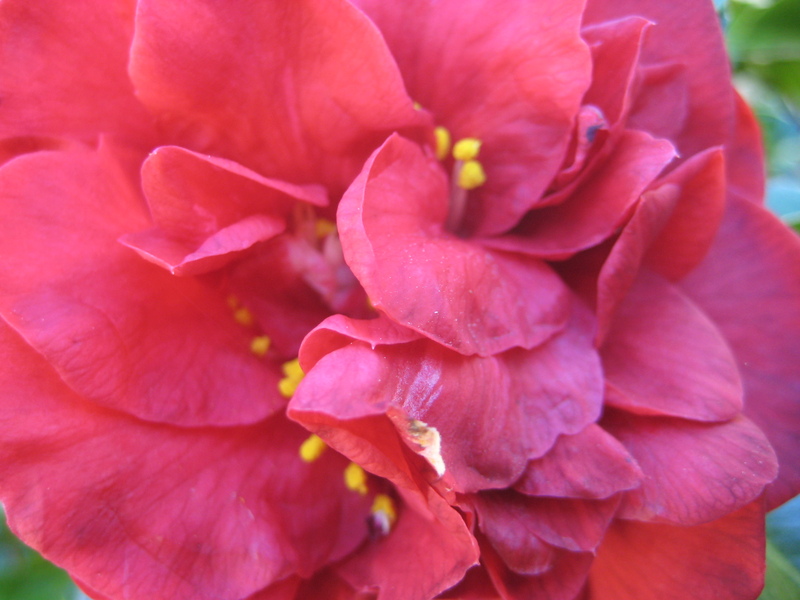 The quince and narcissus have been blooming for more than a month and are starting to take their curtain call. The Pieris and Ceanothus are waiting in the wings. 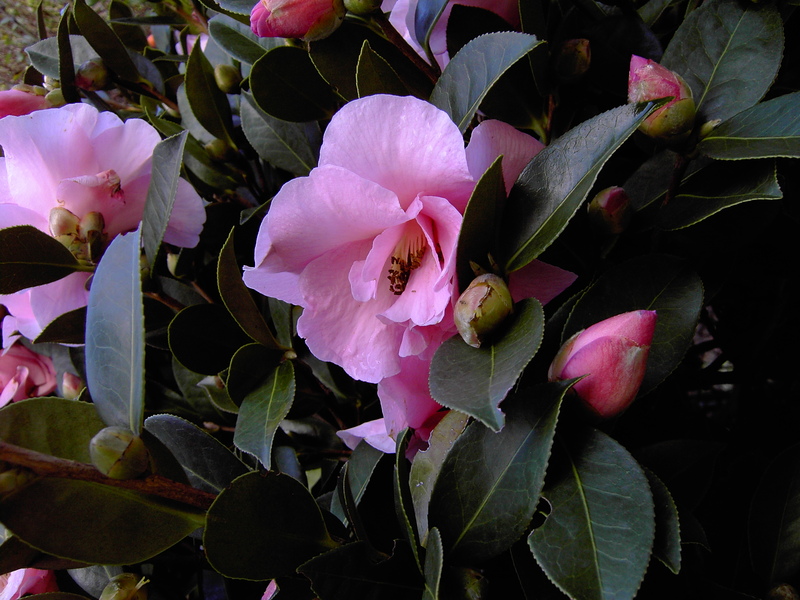 But we have some of the years loveliest blossoms in their prime right now. 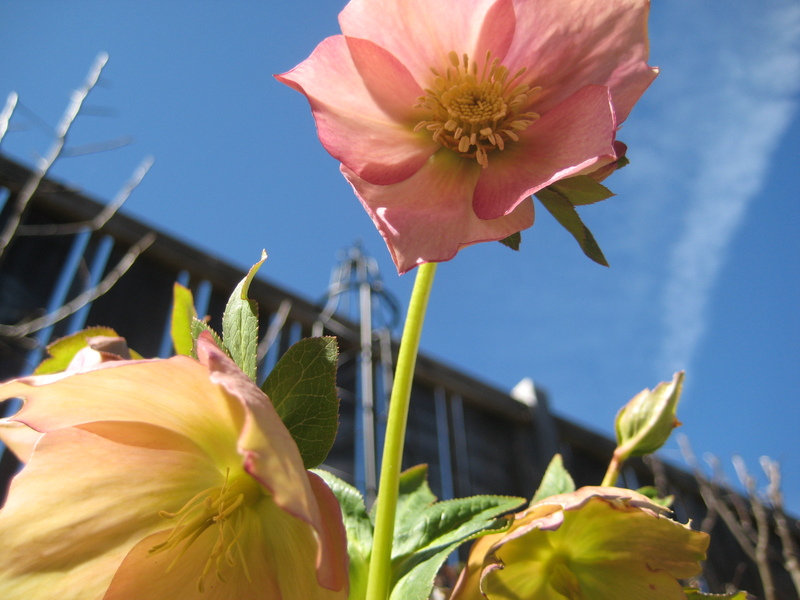 Here are a few of my favorites, that can be relied on to put on a beautiful show at this time every year. 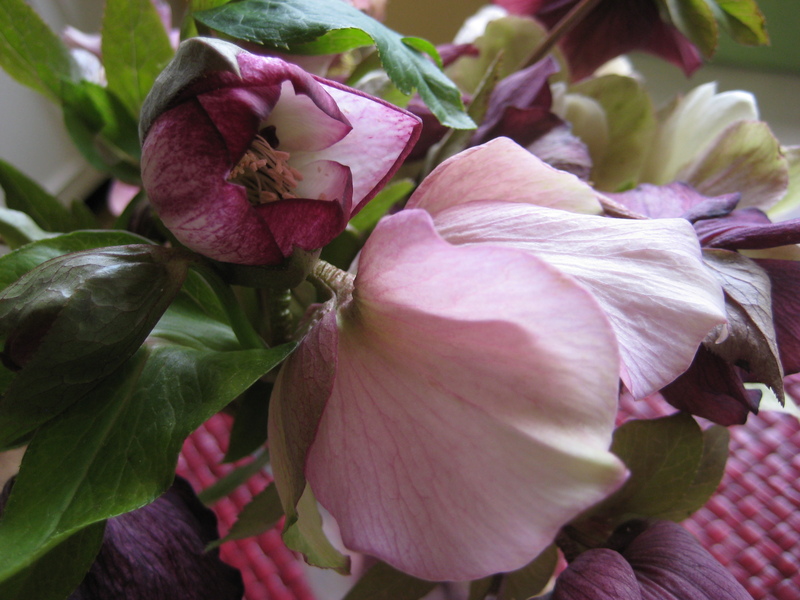 Hellebore; amazing colors and attractive foliage. 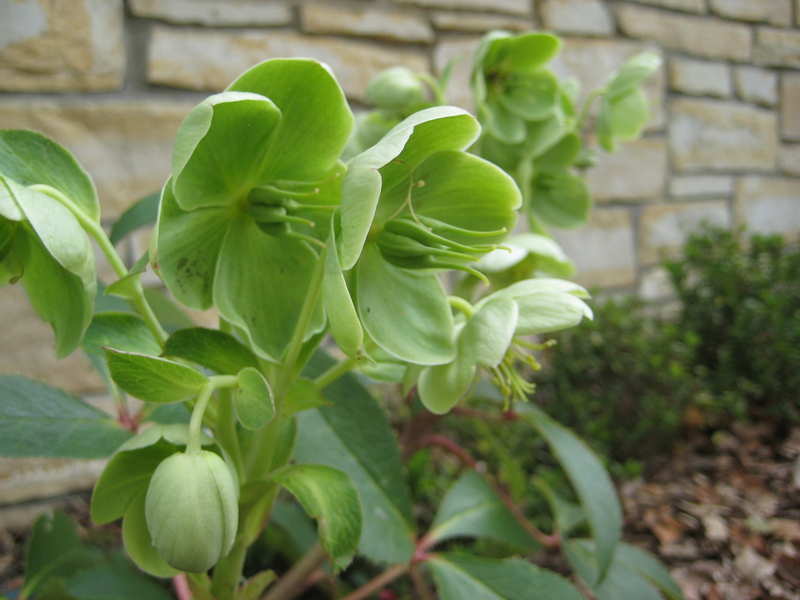 This is a lovely plant for the woodland or with summer blooming perennials that are dormant in the early spring. 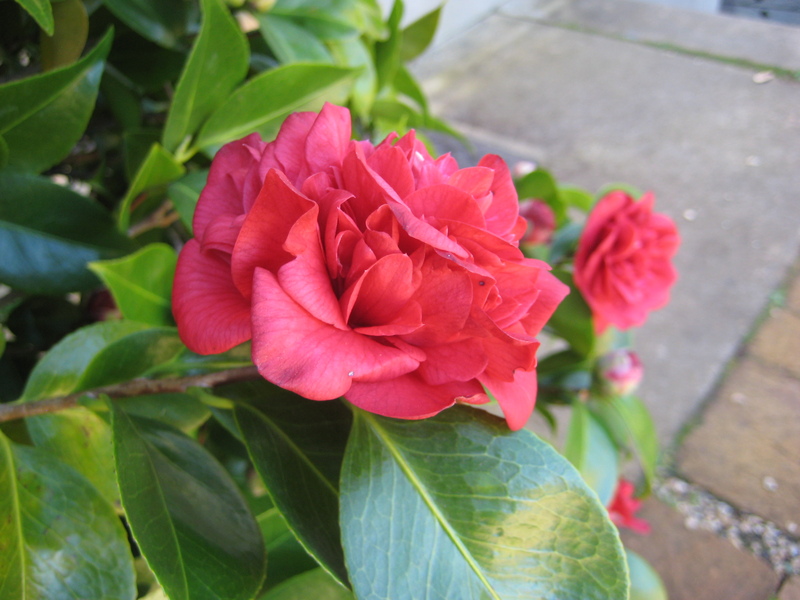 Camellia; sturdy plants that need very little to produce extravagant blossoms. 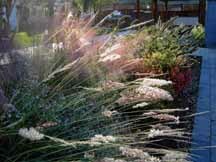 They are drought tolerant once established and are a handsome shiny green background plant for later summer color. 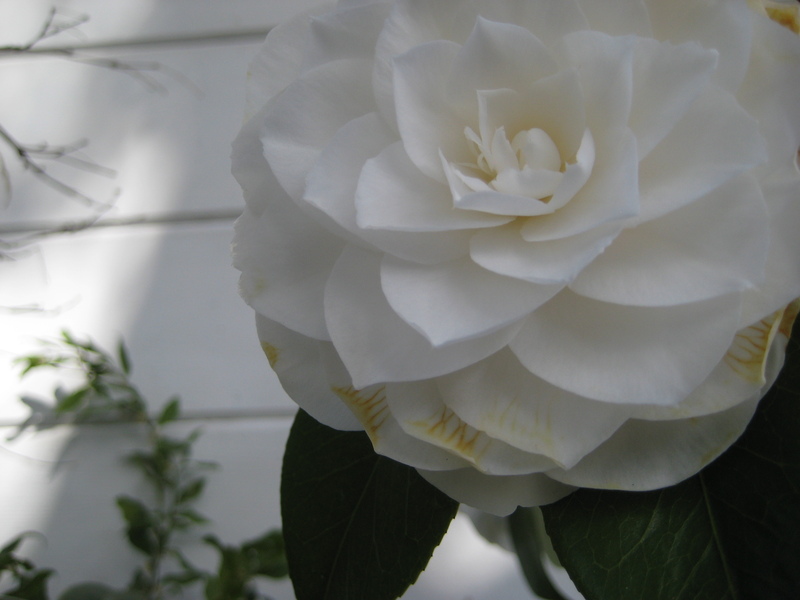 Camellias can be considered old-fashioned, but there’s a reason they’ve been popular for generations. 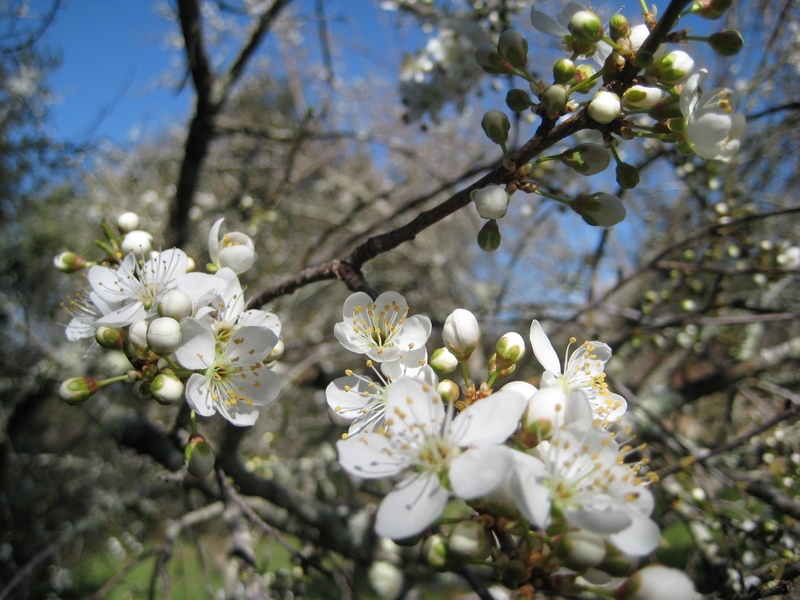 Plum Blossoms – Spring is just the beginning of the fun, if you have edible plums. They usually have nice fall foliage too. 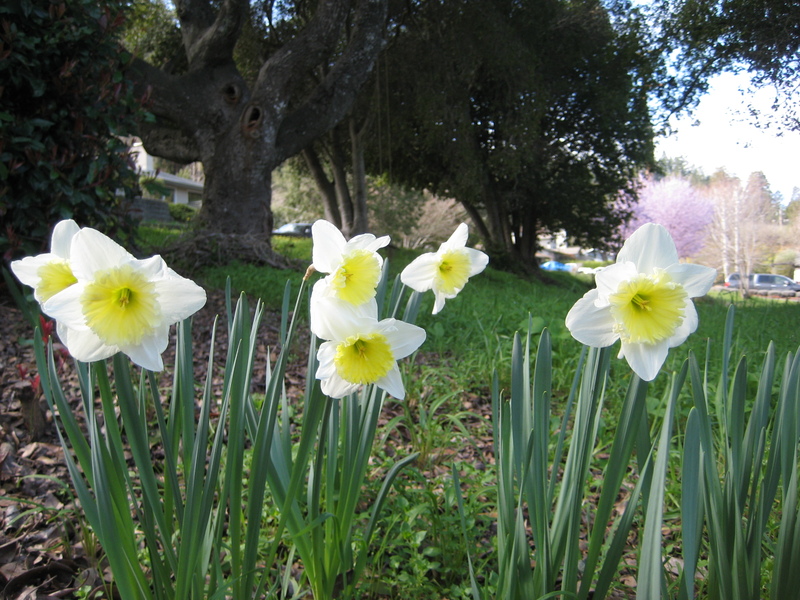 Daffodils – One of the best bulbs for naturalizing. Mostly because they are deer and gopher resistant. I plant them in pots the first year, to really enjoy them front and center. Then I put them in the garden margins for their second year and beyond. I love the ones that fade from creamy yellow to white. There’s no excuse to be “waiting till summer” to enjoy the garden, the earth is bursting with color and beauty all around us. The performance is taking place, at a garden near you, whether or not there is an appreciative audience to take in the show.